WIN: Innovation School of the Year 2018 in Food, Farming & Environment. 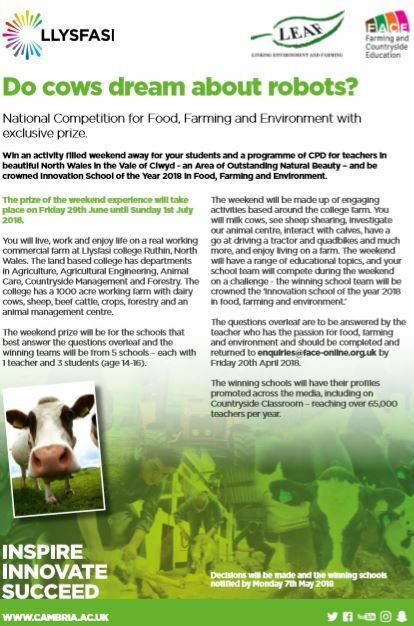 With Cambria, you can win an activity filled weekend away for your students, a programme of CPD for teachers in beautiful North Wales in the Vale of Clwyd and be crowned Innovation School of the Year 2018 in Food, Farming and Environment! The prize of the weekend experience will take place on Friday 29th June until Sunday 1st July 2018. You will live, work and enjoy life on a real working commercial farm at Llysfasi college Ruthin, North Wales. 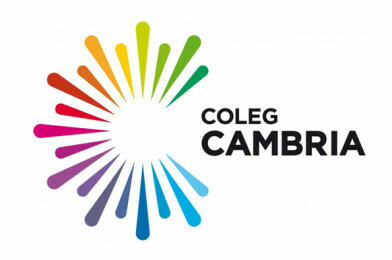 The land based college has departments in Agriculture, Agricultural Engineering, Animal Care, Countryside Management and Forestry. The college has a 1000 acre working farm with dairy cows, sheep, beef cattle, crops, forestry and an animal management centre. The weekend prize will be for the schools that best answer the questions on the entry form and the winning teams will be from 5 schools – each with 1 teacher and 3 students (age 14-16). The closing date for entry forms is fast approaching – 20 April 2018.